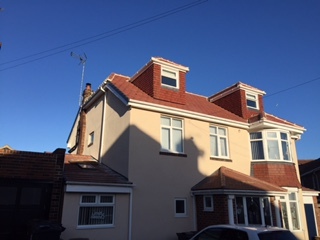 Julie and John Russell of Tynemouth, got in contact with us via an architect we have worked with in the past. 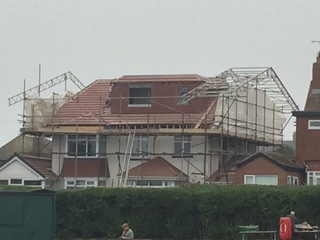 They’d had a number of quotations for this loft conversion. 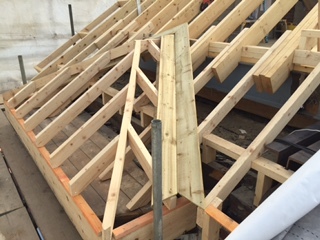 It wasn’t your average conversion, as it was bascially a full new layout of the roof area completely. 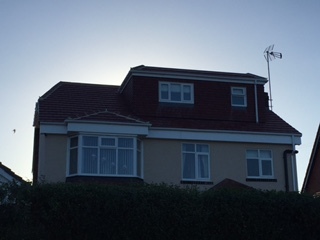 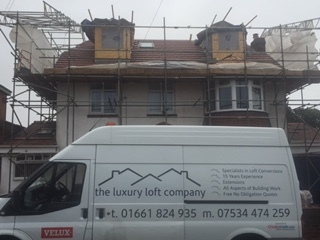 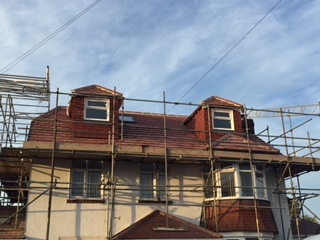 It wasn’t a big enough space to achieve what they wanted so we needed to take the whole roof off completely, building the gable walls up on both side, 3 dormers, mansard roof, both the bay windows had new roof’s cut into them. 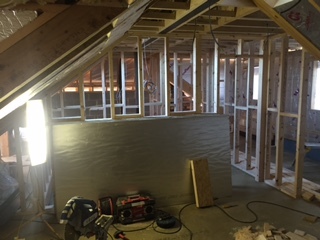 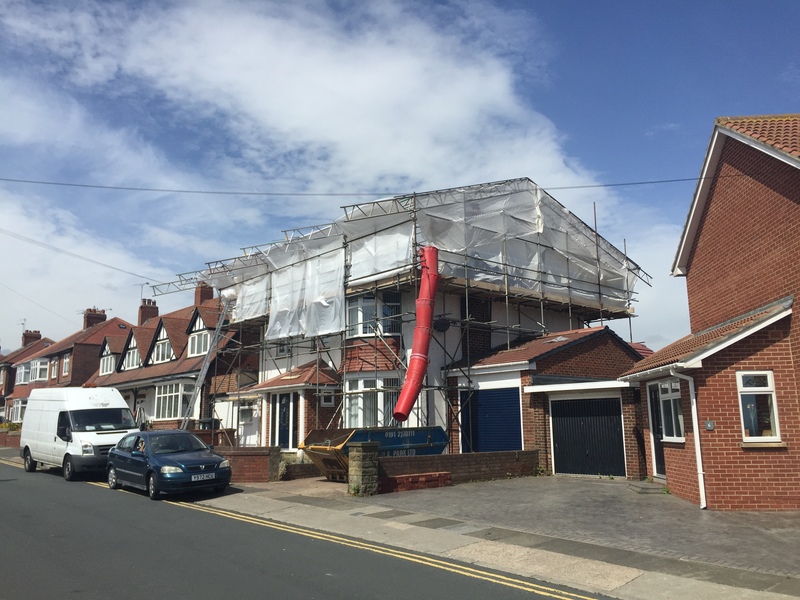 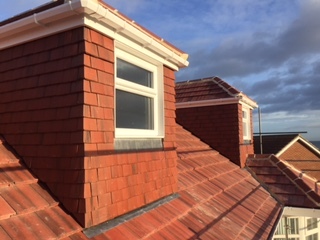 This loft conversion in Tynemouth was a huge job which included us removing the existing roof. 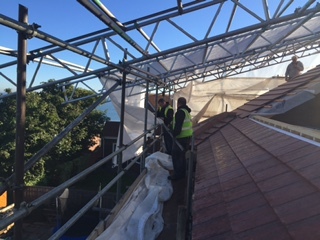 The only way to do this project was to put a full tent over the roof area and this was one of the first times we saw a full roof tent like this in the North East. 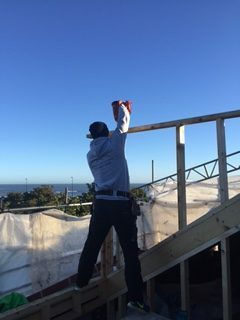 This was really tested as the house is virtually on the Tynemouth sea front and so got all types of weather hitting it. 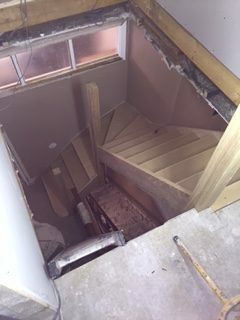 We stripped it right back so that it was just the top of the actual ceilings of the rooms below, a couple of walls and the 2 chimney stacks. 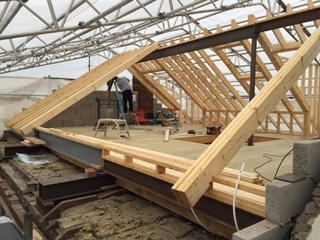 From this point we installed 15 steel beams, built the floor to give us a platform to work off. 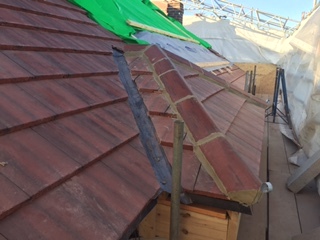 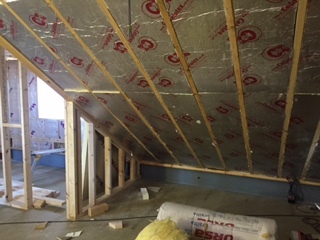 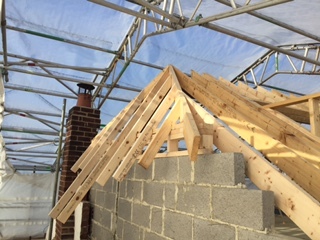 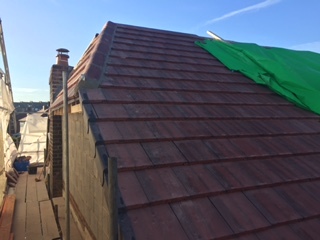 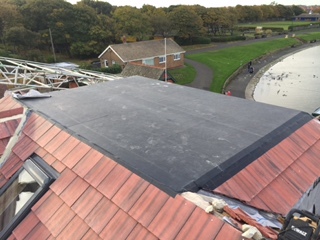 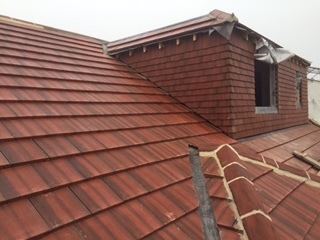 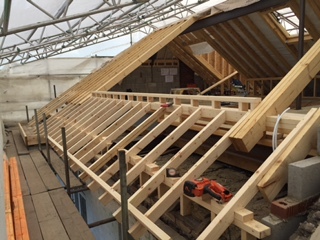 There was then a crank-beam ridge installed which spanned the full width of the roof. 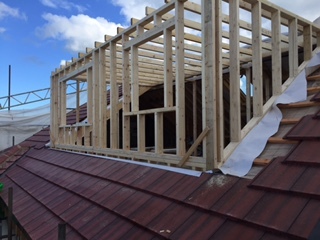 From there we built the roof, then the dormers then the roof coverings. 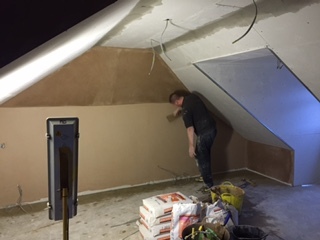 Once watertight we moved onto the internal work that needed completing. 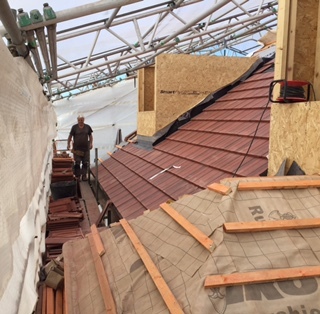 This whole process is exactly the same as all our other jobs, just on a much larger scale. 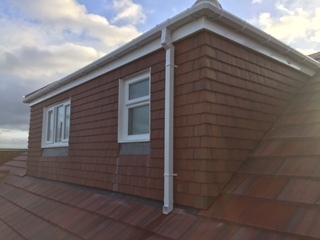 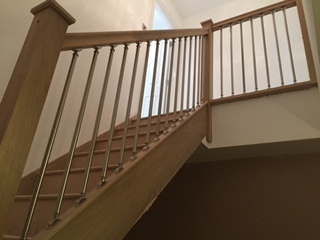 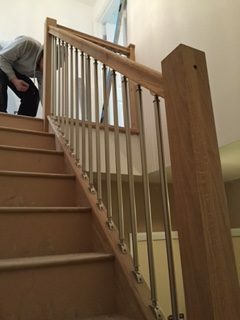 The finished loft conversion includes a Master bedroom, small bedroom, large hallway, walk-in wardrobe and an en-suite bathroom. 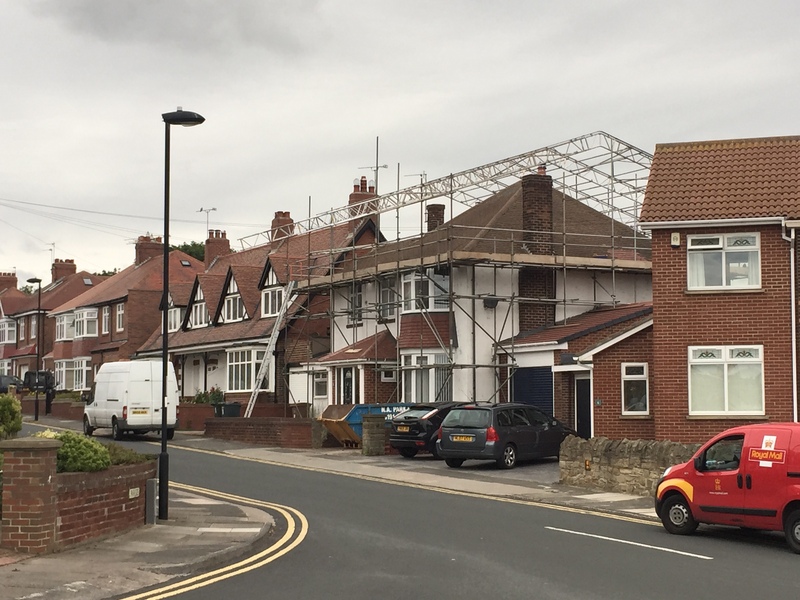 This house in Tynemouth now has a lot more space than it did initially and the value of the house has increased massively.